Julie Ann Kilgore (left) and Dennis Gene Cox. UPDATE: Julie Ann Kilgore escaped from Dennis Gene Cox — after being held at gunpoint and kidnapped to a Laramie Ramada Inn. Kilgore had broken off her relationship with Cox two days before her disappearance. Cox fled when Kilgore escaped, and was shot by police in Fort Collins about 60 miles away, when he raised his gun as he was approached by police. Cox later died in the hospital. Julie Ann Kilgore, a 48-year-old nurse, is missing under suspicious circumstances, from Brighton, Colorado since 4:30 p.m. Tuesday December 29, 2009. Julie Ann Kilgore is described 5′ 5″ tall and weighs about 180 pounds. She has blond or light brown hair and blue eyes. 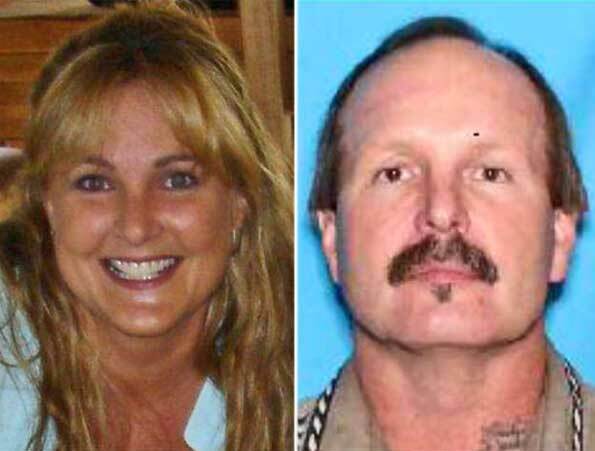 Julie Ann Kilgore left her home with her fiance, Dennis Gene Cox, 50, and said she would return in about 15 minutes. Her family has not seen her since, and she has not answered her cell phone. Anyone with information about the case is asked to call Detective Paul White at 303-655-2324. Recent information has been released that Dennis Gene Cox is a person of interest and that the couple may be traveling in a turquoise 1993 Ford Taurus with Colorado license plate number FFL 972. Dennis Gene Cox is described as 5′ 11″ tall and weighs 190 pounds. He has brown hair and brown eyes. File photo: Ford Taurus 1992 to 1995 model sedan.